Cities always look prettier at night, and cities built on water get double the radiance because of the reflection effect. This painting is, of course, a homage to Van Gogh’s “Starry Night”. You don’t often get truly starry nights in Vancouver because there’s usually a misty cloud cover obscuring the stars. 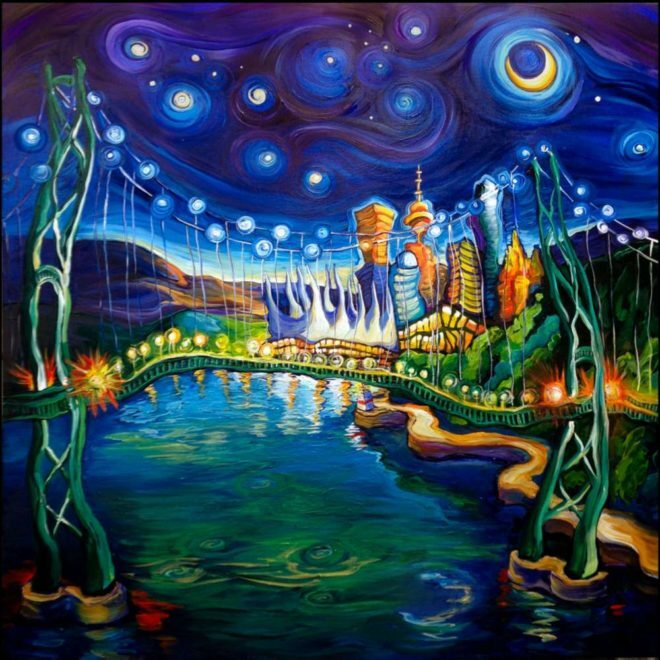 The city still sparkles and the lights on The Lion’s Gate bridge mirror the stars and dangle like patio lanterns or garden lights.